Every December I write a bit on the blog about themes that have developed over the last year, or about what I’ve learned, or other reflective stuff like that. And I think one of the main things I’ve been learning about and practicing this year is developing filters and acting upon them. Ferrett talks about filters in his recent post “On Eternal Vigilance,” and reading it helped me cement my ideas on the subject. I also recently read a post on Wait But Why about 10 Types of Odd Friendships that is also relevant. It wasn’t the list that made up the bulk of the post that I found interesting though, but rather one of the graphics towards the beginning: The Life Mountain Graphic. I’ve been trying to develop a filter that has both positive and negative components. The positive part of the filter is all about consciously noticing interactions with other people that feed me in a good way. For me, some of the things I’ve set my filter to pick up are the ability to listen well, to be supportive and nonjudgmental, to have an easy give-and-take, and to share wisdom. I look very closely at with whom I feel safe (physically and also emotionally) and with whom I feel I can be honest. I also look for a willingness to engage and take the time necessary to grow or maintain any kind of relationship. Are my emotions being taken seriously or being easily dismissed? Do I feel like it’s okay for me to say no? Are my boundaries being respected? If someone accidentally tramples on one of my boundaries, how do they respond when I tell them and does their behavior change once they are aware? Does the person try to simply sweep problems under the rug and pretend they’re not there? How much emotional energy is the interaction taking? Am I being treated with respect (including respect for my time)? Am I receiving negative messages from this person that I have to spend a lot of time combatting? How hard do I have to work to keep this relationship functioning, and does the work seem more or less balanced? 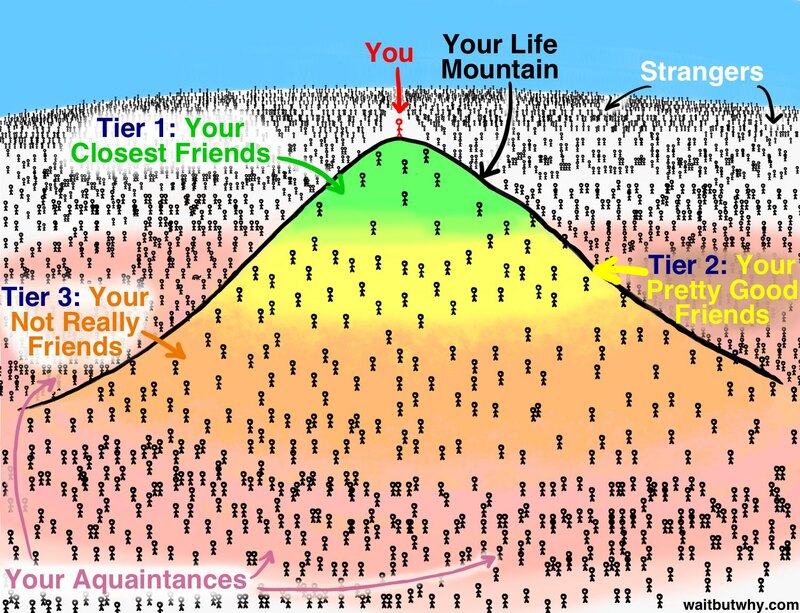 I can use the data collected by this filter, both positive and negative, to determine who I’d maybe like to have move up my mountain and who should probably move down my mountain. This sounds simple, but in practice it can be a very delicate dance that changes over time and depends not only on the filter but a lot of outside factors. The only way the filter works is if I act on the knowledge it has given me; namely, if I am able and willing to set boundaries and back them up. Which brings me to the second part of the lesson I’ve learned this year: I have to be willing to walk away. Often walking away isn’t necessary. Sometimes issues can be worked out through communication (and with time). Sometimes I’ll set a boundary and the person will move a bit down my mountain and then everything will stabilize. 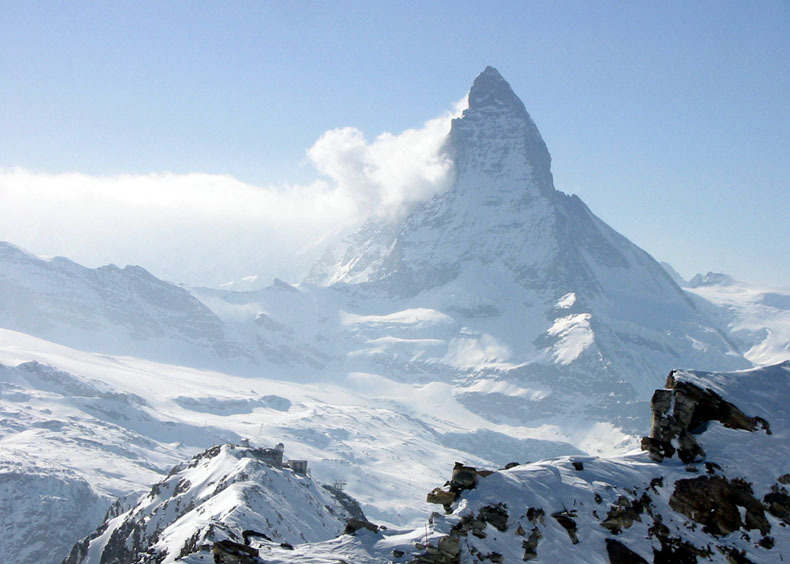 It’s often not a big deal, as people are constantly moving around the mountain for all kinds of different reasons. But sometimes the filter has picked up enough red flags, and at a certain point there are only two options: remain in a deeply unhealthy personal interaction or walk away. Actually, I suppose what I’ve really learned this year is not so much the necessity of being willing to walk away as the changed reality: That I have in fact become a person who will walk away. And I won’t feel particularly guilty about it. Not because I like it, but because I’ve recognized how essential it is. Not because I don’t value loyalty, but because I’ve recognized that loyalty only works when it’s also being returned. Not because I don’t care about people, but because I’ve learned to care about myself too. This blog post wouldn’t be complete without mentioning my filter has helped me find and maintain some truly amazing friendships this year: some brand new, some who have moved up the mountain, and some who have been close to the top for a while now. One of the great joys of my life is the people (and a certain little dog) with whom I get to share it.